What Does Buckeye State Rural Do? Our mission is to promote public policies that work for rural Ohio communities. To achieve that mission, our work focuses on three main activities: research and listening, strategic planning, and community outreach. We aim to gather information about the real needs of rural workers, families, and communities in Ohio’s Congressional District 15. Through our Kitchen Table Discussions, we travel the district to listen and converse with residents. We focus on the everyday needs and opportunities including healthcare, economic issues, and education. 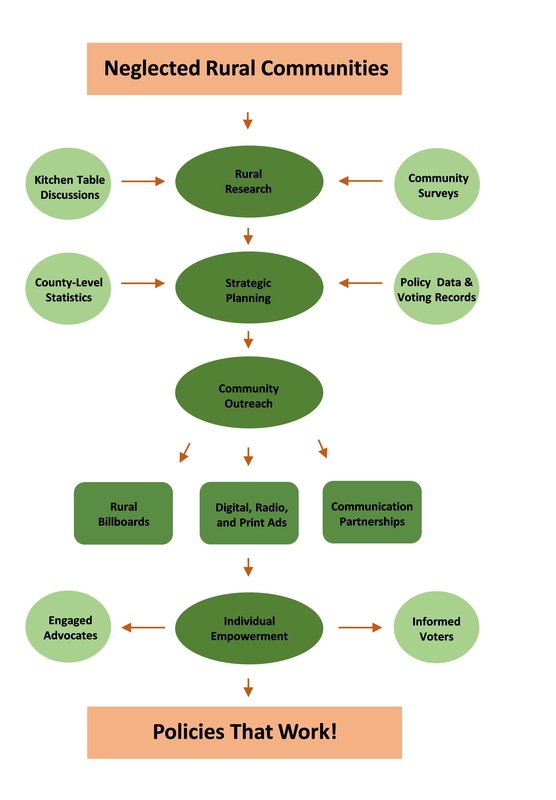 Our Advisory Board uses the data gathered from these events for our strategic planning activities, which aim to identify better ways to help rural communities thrive. This information is integrated with publicly available data to determine which policies work and which policies hurt our local communities. Our community outreach projects may include traditional media, such as billboards. They are likely to include digital, radio and print messaging.